I am new to forum writing, but here goes. Peco Jubilee, has anybody remotored one? And with what motor ? I believe that it can be done with a Union Mills tender drive unit and modifying the tender to fit. Colin sells them if he has spares available. Tell him what you want it for, I'm sure he has been asked before and will be able to help. I've replaced my defunct Peco Stanier tender with a Union Mills Fowler tender (and fitted coal rails) but beware UM drive units are wired reverse to the Peco unit. Colin will supply a suitably wired tender if you speak to him as he used to work for Peco so Knows all the details required. Member Ozymandias is the guy to talk to. I've not re-motored Peco tender drive units, but the idea of using a UM one is a good one. Colin at UM is incredibly helpful and friendly. Thank you for your replies to my thought unable question. More strange questions to come. Hi the advice you have had from the other forum members is bang on the one small addition I would suggest is buy the complete Fowler tender to replace the Stanier as suggested then turn the wheels round so the tyres are on the same side as the Peco tender. I have the tender without the top just the motor end wish I'd bought it complete as now i am trying to make the Peco tender chassis fit the top. Colin at Union Mills is helpful and good to deal with and is well thought of by several members me included. Happy but permanently confused with wiring diagrams due to cardio vascular damage. I used to have a brain but now have Reagans walnut. east anglian saw the post re the mashima motor and and the solution you came up with which prompted me to think along the same lines despite having a new U M motor which doesn't quite work for me as the wheels are not aligned with the tender as the motor was designed for a Fowler tender. Did you have any particular problems apart from putting it into the rivarossi can and adding the worm. Is there also a particular way of wiring it and do you have the motor details please. I hope you can help and thanks if you can. I really am a Newbie when it comes to wiring. 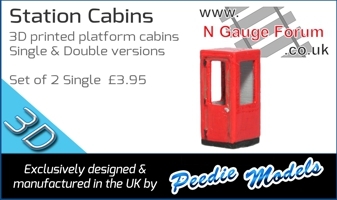 Hi all this post is not for any particular member but may help in the re motor of the jubilee members who want to try and get their locos back on track. I took a chance having spoken to East Anglian and read others thoughts and purchased a new N-drive motor at a very good price on E-bay. Long story short pulled all the works out of the Jubilee can including the magnetic plastic on the inside. The motor fits in nicely and comes with screws and sleeve to bring the armature pole up to 1.5mm. Now to get the armature sleeved and the worm from the original motor on when I figure it out then secure it and wire it up. Hope this helps with the question. And a big thank you to all the members who have helped put this idea into some form of answer. ....N-drive motor ... pulled all the works out of the Jubilee can including the magnetic plastic on the inside. The motor fits in nicely and comes with screws and sleeve to bring the armature pole up to 1.5mm. Oh I see, you've slotted the new motor into the old can as East Anglian described? Interesting. I take it you bought a single-ended motor (only double-ended on offer on ebay at present)? yes I took the innards out of the can but kept it and the worm for the drive. 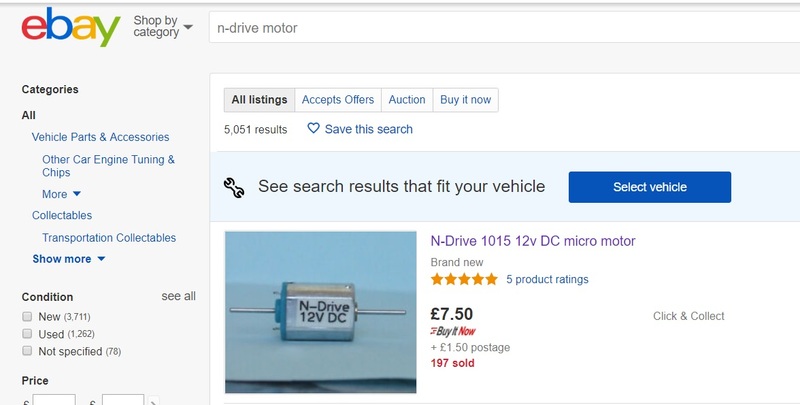 then placed an N drive motor from N drive on e-bay at a very good price and it fits nicely and just needs packing to secure it. it has two shafts but the top one can be cut off. It is a replacement motor for the one mashima used to make and comes with a 1.5mm sleeve and two screws. Also prompt delivery and at the price you can afford to experiment. I have no photos as yet as I only part fitted it yesterday am now trying to figure out the best way to secure the 1.5mm sleeve to the 1.mm shaft. I hope this helps and you are successful in getting the Jubilee going again, the othe good thing is you can use the original chassis and tender side without any butchery. Okay, I have been reading this thread and I am a bit confused. Where do you get these spare loco motors from??? What do you use as search terms on EvilBay? I have tried N-Drive and Motorized chassis but don't get much useful.